This unique and stylish silver engraveable bar ring from Apples of Gold Jewelry combines a playful design with the ability to personalize to make the ring mean something special to you. 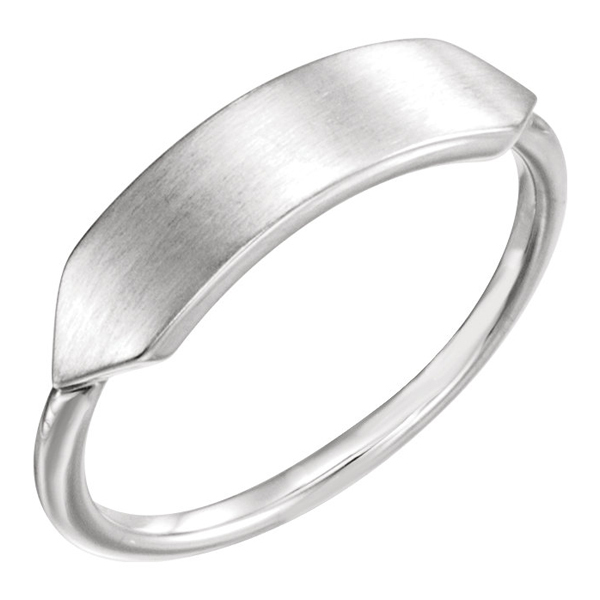 The .925 sterling silver of the ring gives this beautiful piece plenty of style, with a highly polished band and a special bar for engraving that features a satin brush finish. The bar on the top of the ring measures 19.7mm by 5mm in size and gives you the ability to select up to eight characters to personalize the ring, if you choose to do so. We guarantee our Silver Engraveable Bar Ring to be high quality, authentic jewelry, as described above.